Dine Philippines Communicate. Engage. Network. 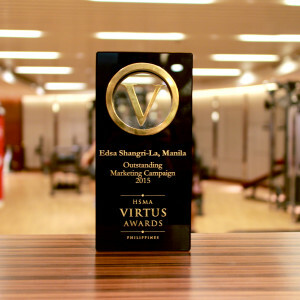 Edsa Shangri-La, Manila bags the Outstanding Marketing Campaign of the Year in the recently concluded Virtus Awards for pioneering the concept Move. Refuel. 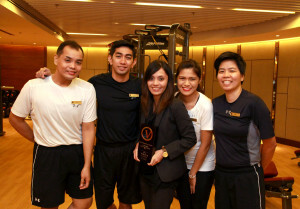 Recover—a total wellness philosophy positioning the newly renovated Health Club as a leader in lifestyle fitness, combining science-based training and five-star hospitality service with programs and offerings geared toward building lifestyles anchored on holistic wellness under the supervision of internationally certified wellness coaches. 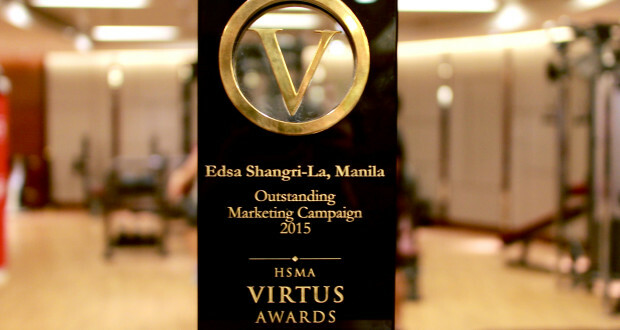 Edsa Shangri-La, Manila bags the prestigious Virtus Awards for the most Outstanding Marketing Campaign of the Year. 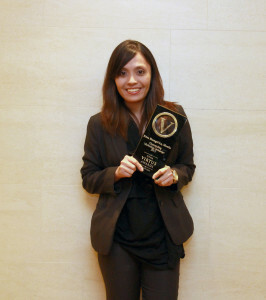 The Virtus Awards of the Hotel Sales and Marketing Association (HSMA), in partnership with the Philippine Tourism Board, is the biggest sales and marketing competition in the Philippine hospitality industry which sets the tone of excellence in the field of sales and marketing and focuses on the key role played in the country’s travel and tourism. 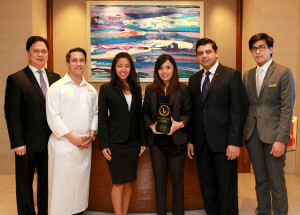 Marriott Hotel Manila remains the Over-All Champion! Dine Philippines is a seminar series organized by Courage Asia that brings together the expert advice, trending concepts, and inspiring ideas that promote a healthier business atmosphere for the food industry. Set in key provincial venues, it is the largest gathering of its kind, reaching an audience of close to 10,000 stakeholders by each year. Courage Asia is a marketing, consulting and training firm committed to the continuous education of the food service industry through seminars and conferences. It has partnered with MediaBlast Digital to create this website as a means to further its mission and vision for the Philippine food service industry. Dine Philippines is open to article contributions and advertisers. Feel free to contact us through email@dineph.com or through Courage Asia at phone number +63 915 729 8241.